Tune in to catch sets from Marshmello, Tiesto, DJ Khaled + more! 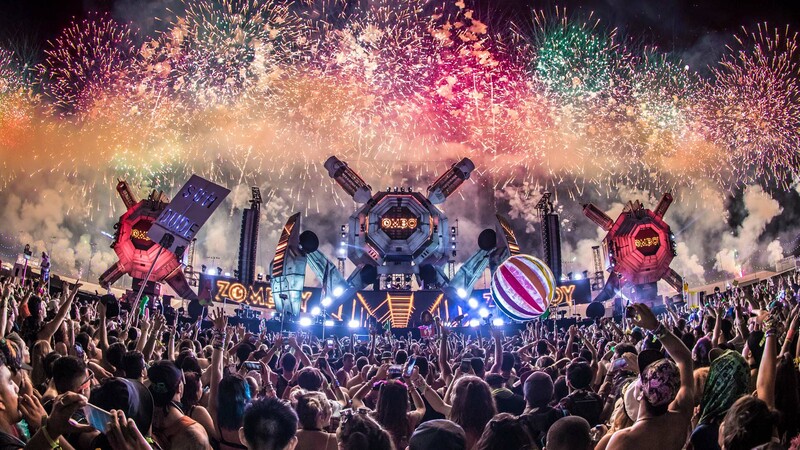 The final countdown has begun: Electric Daisy Carnival is just around the corner. In less than 48 hours, Las Vegas will welcome swarms of electronic music fans from around the globe, who traveled far and wide to rage with their favorite DJs on the planet. Didn't nab a ticket to this year's event? Luckily, Red Bull TV has the solution for your FOMO—they'll be livestreaming tons of shows on their website all weekend, including sets from Marshmello, Kygo, Yellow Claw, and tons more. The cherry on top? It's totally free. Starting Friday, June 16 at 8:30 p.m. PDT, fans can watch live broadcasted sets from RL Grime, Zedd, Galantis, Tommy Trash, Dillon Francis, Datsik, and DJ Khaled from the comfort of their home. Spread out across eight stages over the course of three days, this weekend is going to be all about good vibes, epic light shows, and amazing music. To ensure you don't forget to tune in, head over to Red Bull TV's website to set a reminder, alerting you when the party is officially underway. Track some the performers you can catch live in Sin City this weekend below, and check out the full schedule here!